This article is about the monarchy of Solomon Islands. For information on the other countries which share the same person as monarch, see Commonwealth realm. The Commonwealth of Nations has over 50 member states, of which, sixteen are specifically Commonwealth realms that recognise, individually, Elizabeth II as their monarch and therefore head of state; Solomon Islands is one of these. Each realm, including Solomon Islands, is a sovereign and independent state. 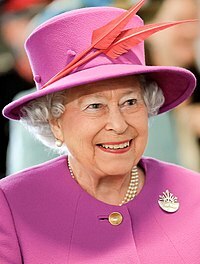 Elizabeth II exercises her sovereignty only as Queen of Solomon Islands and on all matters relating to Solomon Islands, the monarch is advised solely by Solomon Islands ministers. The monarch of Solomon Islands is represented by the Governor-General of Solomon Islands, who is a citizen of Solomon Islands elected for a five-year term by the national parliament. Formally, the monarch appoints the Governor-General on the advice of parliament. The current Governor-General is former Attorney-General and High Court Judge Frank Kabui, who was first elected in 2009. Governors-General must meet the same eligibility requirements as members of parliament and can serve no more than two terms. This arrangement came into being subsequent to the Balfour Declaration of 1926, which provided the dominions the right to be considered equal to Britain, rather than subordinate; an agreement that had the result of, in theory, a shared Crown that operates independently in each realm rather than a unitary British Crown under which all the dominions were secondary. The monarchy thus ceased to be an exclusively British institution, although it has often been called "British" since (in both legal and common language) for reasons historical, legal, and of convenience. The Royal and Parliamentary Titles Act, 1927 was the first indication of this shift in law, further elaborated in the Statute of Westminster, 1931. Solomon Islands gained self-government in 1976 following the independence of neighbouring Papua New Guinea from Australia in 1975. Independence was granted in 1978, establishing Solomon Islands as a sovereign democratic state, with the Queen as head of state. The new constitution, providing for fully responsible status within the Commonwealth, took effect under The Solomon Islands Independence Order 1978, an order in council which had been requested by the Legislative Assembly. 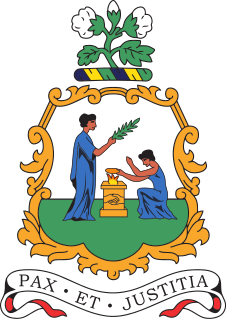 It was made under the Foreign Jurisdiction Act 1890, and came into operation on 7 July 1978. Under the constitution the oath of allegiance is a declaration of allegiance to "Her Majesty Queen Elizabeth II, Her Heirs and Successors". The monarch's duties are performed by the Governor-General. 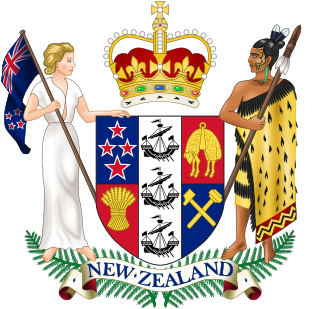 The Governor-General represents the monarch on ceremonial occasions such as the opening of parliament, the presentation of honours and military parades. Under the constitution, he or she is given authority to act in some matters, for example in appointing and disciplining officers of the civil service, and in proroguing parliament. As in the other Commonwealth realms, the monarch's role is almost entirely symbolic and cultural. The powers that are constitutionally hers are exercised almost wholly upon the advice of the cabinet, made up of Ministers of the Crown. The royal family occasionally visits the islands. The Queen has visited twice: in February 1974 (before independence) and in October 1982 (after the 1982 Commonwealth Games). Prince Philip, Duke of Edinburgh, accompanied the Queen on both occasions, and also visited without the Queen, in 1959 and 1971. Princess Anne and Mark Phillips visited in 1974 and the Duke and the Duchess of Cambridge visited in 2012. Succession to the throne in Solomon Islands is identical to the succession to the British throne. The heir apparent is Elizabeth II's eldest son, Charles. No Commonwealth realm can alter the succession without the agreement of the other realms. Under the Statute of Westminster, Solomon Islands has a common monarchy with Britain and the other Commonwealth realms, and Solomon Islands cannot change the rules of succession without the unanimous consent of the other realms, unless explicitly leaving the shared monarchy relationship by means of a constitutional amendment. This situation applies symmetrically in all the other realms, including the UK. In Solomon Islands, the Queen's official title is: Queen of Solomon Islands and of Her other Realms and Territories, Head of the Commonwealth. 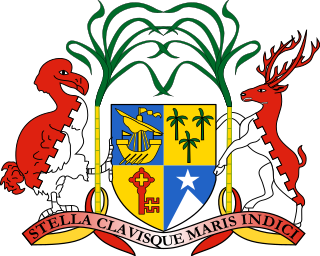 ^ The Solomon Islands Independence Order 1978, Statutory Instrument 1978 no. 783. From 1960 to 1963, Elizabeth II was Queen of Nigeria: Nigeria was an independent constitutional monarchy. She was also the monarch of the other Commonwealth realms, including the United Kingdom.